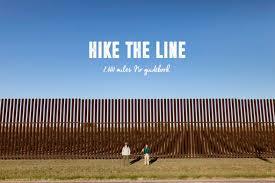 Hike the Line follows two long-distance backpackers, Tenny Ostrem and Claire Wernstedt-Lynch, on the first ever thru-hike of the 2,000-mile U.S.-Mexico border. 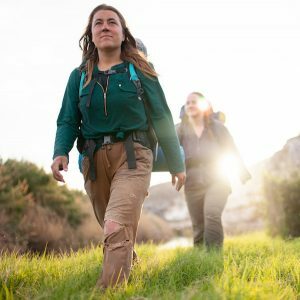 For 175 days, these two women persevere through the most difficult adventure of their lives while gaining a unique perspective on America’s controversial immigration policies. Challenges around safety protocol and campsite selection tax the most valuable resource they have, each other. 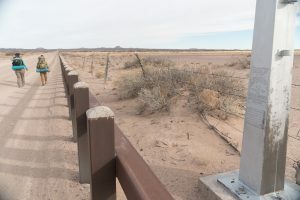 The hikers’ many encounters with activists, ranchers, Border Patrol, and migrants challenge their expectations about this highly contested region of our country. 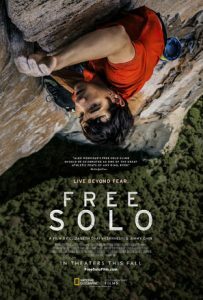 From award-winning documentary filmmaker E. Chai Vasarhelyi (“MERU”) and world-renowned photographer and mountaineer Jimmy Chin comes National Geographic Documentary Film’s FREE SOLO, a stunning, intimate and unflinching portrait of the free soloist climber Alex Honnold, as he prepares to achieve his lifelong dream: climbing the face of the world’s most famous rock … the 3,000ft El Capitan in Yosemite National Park … without a rope. Missy Andersen and her accompanist/husband, Heine Andersen, love what they do. Keeping a heavy touring schedule, the tenacious twosome performs as a duo which showcases the couple’s individual and combined talents. 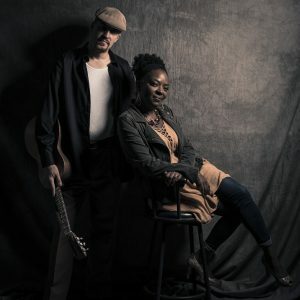 In the absence of other instruments, listeners find a greater appreciation for Missy’s gospel-tinged vocals and Heine’s Blues & Americana inspired guitar work. 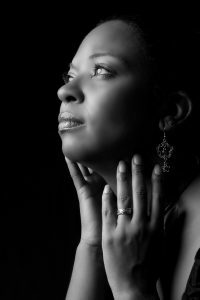 A charismatic performer known for her expressive and earthy vocals, Missy Andersen received the coveted Blues Music Award nomination for Soul Blues Female Artist in 2015 and then again in 2016. Her sophomore album, In the Moment, received rave reviews from both critics and fans and ended up on the Roots Music Report’s Top 50 Albums. Raised in Queens, NY, Missy grew up singing along to the blues, soul, and gospel music of her parents and grandparents. These influences are evident throughout her recordings and live performances. A virtual tour through the night sky that explores the various cultural connections to and stories of the constellations that will be visible that night. Stargazing expert Jennifer Frost is on a mission to make sure the public does not miss out on the wonders of the night sky. Frost has a background in teaching astronomy and science. 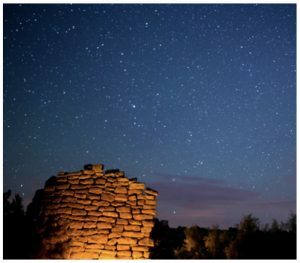 She’s hosted popular night-sky programs at several national parks and monuments, including Chaco Culture National Historical Park. 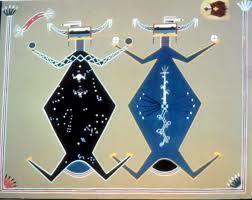 Telling the story of the night sky through the Native American perspective will be part of the program. 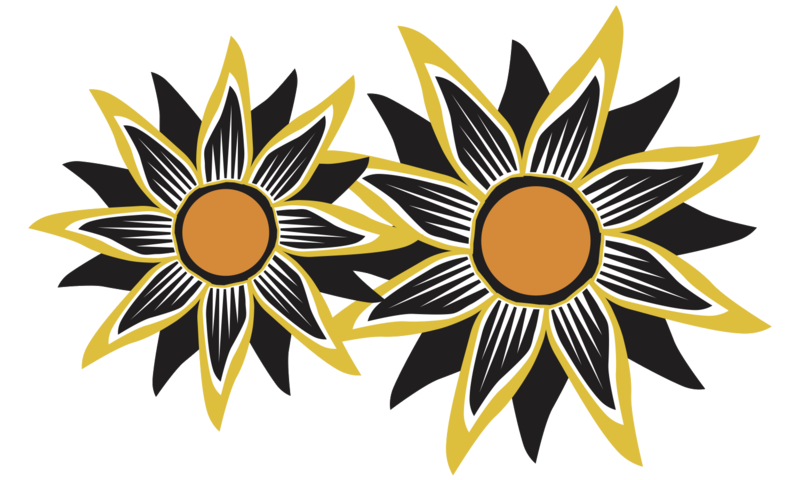 This lecture is brought to the Sunflower in a partnership with Mesa Verde Country. 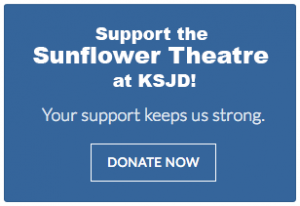 The Sunflower Theatre will be screening the best short films of the 2019 Durango Independent Film Festival! Come check out some of the best in independent international cinema ranging from featured shorts and animation, to documentaries and adventure films. 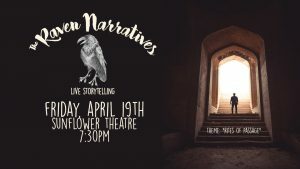 Our favorite storytelling event is back. Madeline got the part! She’s going to play the lead in a theater piece! Except the lead wears sweatpants like Madeline’s. And has a cat like Madeline’s. 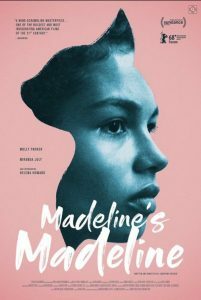 And is holding a steaming hot iron next to her mother’s face – like Madeline is. Madeline (newcomer Helena Howard) has become an integral part of a prestigious physical theater troupe. When the workshop’s ambitious director (Molly Parker) pushes the teenager to weave her rich interior world and troubled history with her mother (Miranda July) into their collective art, the lines between performance and reality begin to blur. The resulting battle between imagination and appropriation rips out of the rehearsal space and through all three women’s lives. 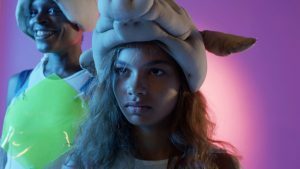 Writer/director Josephine Decker has long been an independent filmmaker to admire, utilizing a welcome expressionistic approach that imbues her subjects with a vibrant sense of urgency. Anchored by a virtuoso performance from newcomer Helena Howard, whose powerful screen presence commands attention, Decker’s film displays a rare sensitivity for capturing the messy struggles of discovering a sense of one’s self that defies easy narrative categorization. Mandy Fer & Dave McGraw are back at it with new perspective, a new name, and a new sound. 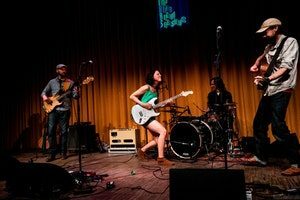 Sway Wild is their own unique blend of indie-rock, folk, funk and pop, influenced heavily by all the wild things around and within them. Donkeys out the front door, whales out the back. Pacific Northwest based songwriter duo Dave McGraw & Mandy Fer voyage even further out to sea on their latest self-produced/recorded release Off-Grid Lo Fi. Recorded entirely with solar and wind powered electricity on a nearly uninhabited, remote, off-grid island in northwest Washington state, McGraw and Fer have ventured into new territory, both geographically and artistically. McGraw and Fer were invited to a seaside farm to care-take for four old donkeys and a flock of chickens for three months on a non-ferry serviced island with a winter population of fewer than eight people. Seizing the opportunity for a solitary writing residency, the duo loaded all of their instruments, minimal recording gear, and groceries into a tiny 16’ aluminum boat and crossed the channel towards the US/Canadian border for what they called their ‘feral’ adventure. Pushing wheelbarrows full of provisions in their rubber boots, they made their way to a hand-built cabin where they recorded Off-Grid Lo-Fi in a living room overlooking the Pacific inland sea. The recording set-up was basic. No computer screens or editing. No Auto-Tune. All real takes. The result is a twelve-song album drenched with rich vocal harmonies, poignant songwriting, Fer’s potent electric guitar playing, acoustic guitars, percussion, cello and newly prominent banjo and piano (all played by Fer and McGraw). Off-Grid Lo-Fi is an intimate, authentic and refreshingly honest exploration into the genres of folk, rock, and roots music. Known as a standout electric guitarist and multi-instrumentalist, Mandy Fer fills the stage with her strong yet poised guitar solos, defying long-held gender barriers for female guitarists. Dave McGraw’s emotional songwriting riffs on natural elements of the world around him. 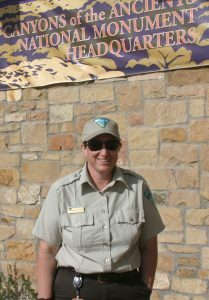 McGraw spent a decade as a wildlife biologist, studying endangered birds in remote locales from the deserts of Mexico and the Grand Canyon to the mountainous rainforests of Washington. McGraw and Fer joined forces in Flagstaff, Arizona in 2010 before relocating to the Pacific Northwest in 2012. 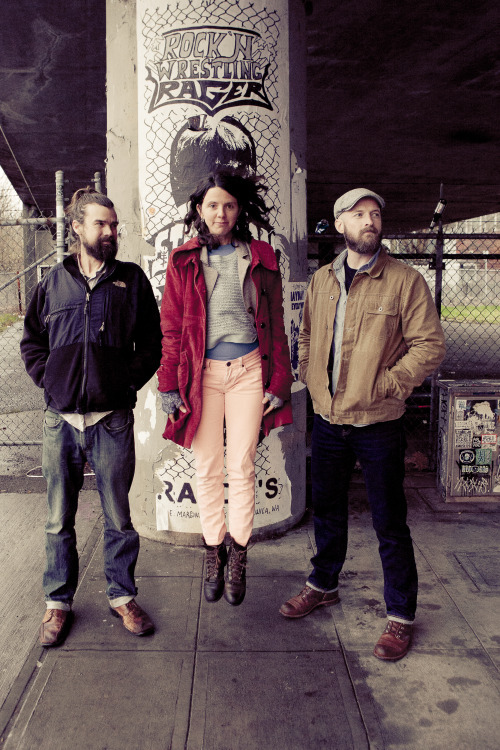 The duo’s 2014 release Maritime charted at #1 on the EuroAmericana Chart for two consecutive months and was praised by The Telegraph for “…soulful songs, intuitive musicianship, and fine singing.” Together, their exceptional vocal harmonies coupled with Fer’s pioneering electric guitar work have become a vehicle to carry them around the world. The pair has honed their skills touring extensively throughout the US and Europe, sharing stages with fellow troubadours including Iron & Wine, Lake Street Dive, Glen Hansard, Gregory Alan Isakov, Mandolin Orange and many others. Winning over audiences anywhere from Alaska to Amsterdam, Sway Wild performs a heartfelt and dynamic blend of innovative folk, rock, pop and funk. Nadia is a human rights activist. 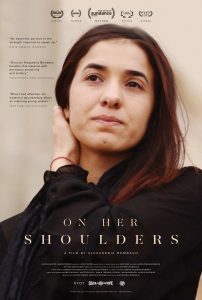 She is a nominee for the Nobel Peace Prize, the recipient of the Vaclav Havel Human Rights Prize and the Sakharov Prize, and the UN’s first Goodwill Ambassador for the Dignity of Survivors of Human Trafficking. She has also received the Clinton Global Citizen Award, Peace Prize from the United Nations Association of Spain, and was named 2016 Woman of the Year by Glamour Magazine. Since 2015, Nadia has been working to bring ISIS before the International Criminal Court on charges of genocide and crimes against humanity. Join us for an awesome Lip Sync Battle with 10-12 area teams. Proceeds benefit Four Corners Child Advocacy Center. In the spirit of giving voice to the voiceless.